Leap, jump or dive into these fun fall themed Skinnies. Perfect for the crisp air and the falling leaves that surround us! Love this time of year!!! There are fast and easy quilt projects for all levels of quilters. All templates are full size and ready to go. 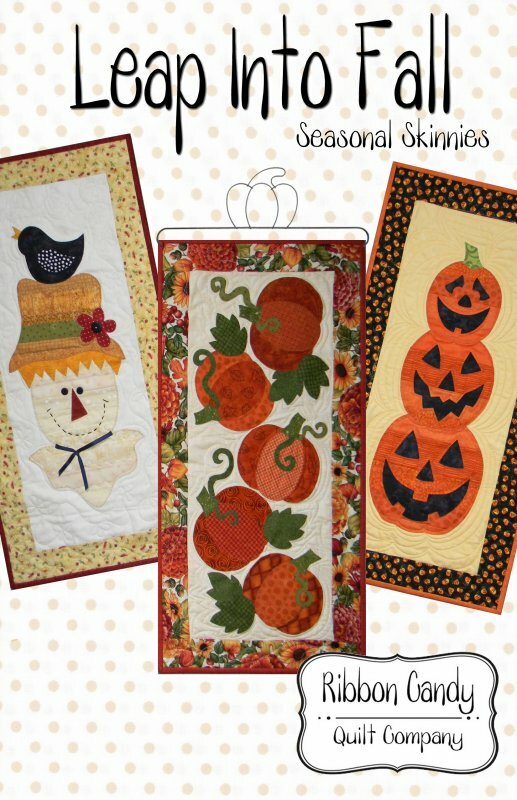 The images are strip pieced so you can use scraps from your stash to create a fun fall treat for you and a gift for a friend. Warning, these Skinnies can become addicting!! Quilt pattern. Button pack available.